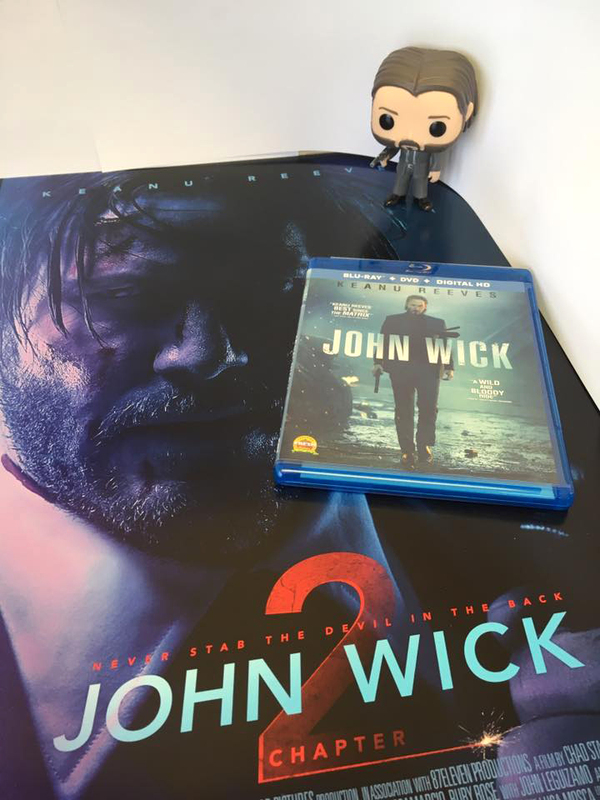 Win 1 of 10 John Wick Prize Packs! To enter the giveaway, just like Twin Cities Geek on Facebook and comment on the John Wick giveaway post by 5:00 p.m. Central time on Sunday, February 5! We’re asking you to name your favorite Keanu Reeves movie—and John Wick is definitely an acceptable response. Once the contest closes, we’ll select 10 random winners! John Wick: Chapter 2 is out in theaters February 10, 2017. No purchase necessary. Grand prize winner must check in at the AMC Rosedale theater no later than 15 minutes prior to screening time. Physical prizes will be shipped to winners (addresses must be eligible for UPS delivery). Any other expenses incurred as a result of winning this prize, including taxes, are the sole responsibility of the winner. Prize fulfillment by Nemer Fieger. How to Enter: Like the Twin Cities Geek page on Facebook (https://www.facebook.com/TwinCitiesGeek) and follow the prompt to comment on the John Wick giveaway post. Only top-level comments will be counted, not nested replies. Eligibility: One entry per person. Giveaway is open only to legal residents of Minnesota who are 18 years of age or older at time of entry. Void where prohibited by law. In order for an entry to be counted, the comment must be posted by 7:00 p.m. Central time on February 5, 2017; the comment must follow the giveaway prompt; and the account posting the comment must have the Twin Cities Geek page “liked.” By entering this contest, you give Twin Cities Geek permission to announce your full name as shown by your Facebook account on our page if you are chosen as the winner. Current Twin Cities Geek contributors and editors are not eligible for entry.